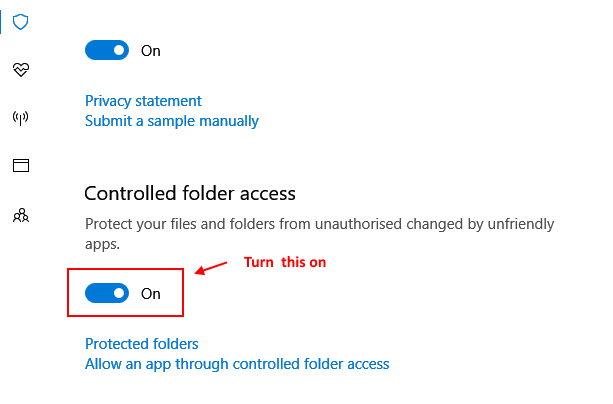 Controlled Folder access is a new feature introduced in fall creator update of Microsoft windows 10 Os. This feature disables all apps to use or control any of your specified folder kept in windows 10. Only apps which you specify in settings can access or control the protected folder. This is by far the best feature introduced to combat ransomware problems surfaced in past. Now, as controlled folders or protected folders can not be edited or touched by any other app, then it will become next to impossible for Ransomwares like WannaCry to edit your files kept in the protected folder. 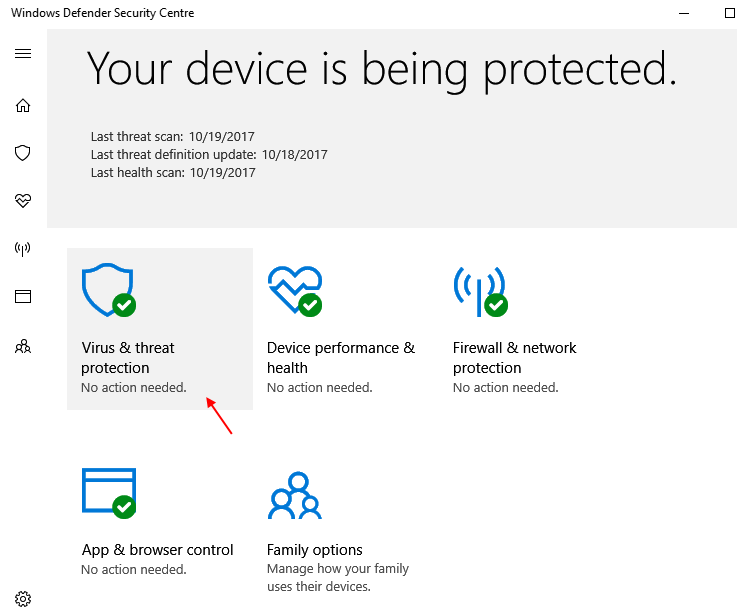 Step 1 – Search windows defender in taskbar and open windows defender Security centre. Step 2 – Now, click on Virus & Threat Protection. 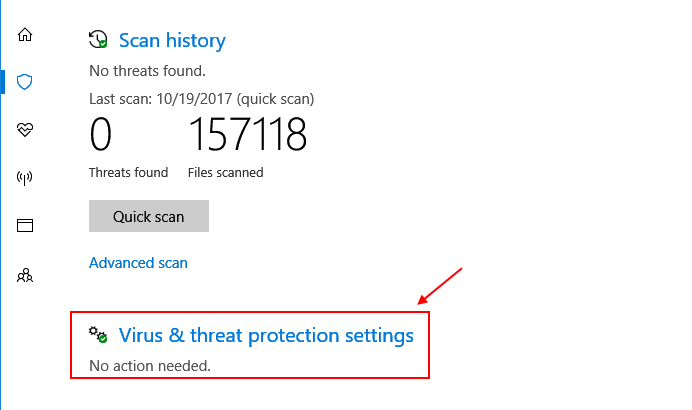 Step 3 – No, Click on Virus & Threat Protection settings in next window. Step 4 – Now, scroll down and toggle on Controlled folder access. Note: – You have turned on Controlled folder access. But turning this on protects by default only pre-defined Windows system folders. To protect folder of your choice you have to add the folder in the protected folder list. So, now lets do it. Step 5 – Click on Protected folders. Step 6 – Now, click on add a protected folder button. Step 7 – Now, browse and add the desired folder. That’s it. Now, you have protected your folder from any damn app in the world. But, wait what if you want a particular app to access this folder. For example , there may be some spreadsheets in the folder and you want libre office or open office to access this folder as you want to constantly edit the docs in the folder. 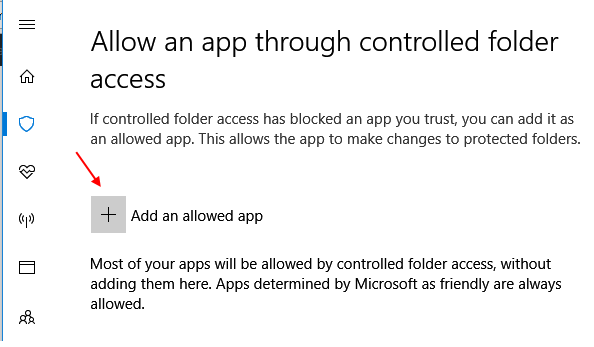 Step 1 – Click on allow an app through controlled folder access. Step 2 – Now, click on add an allowed app. Step 3 – Now browse to the location of the program in your PC and add the app. 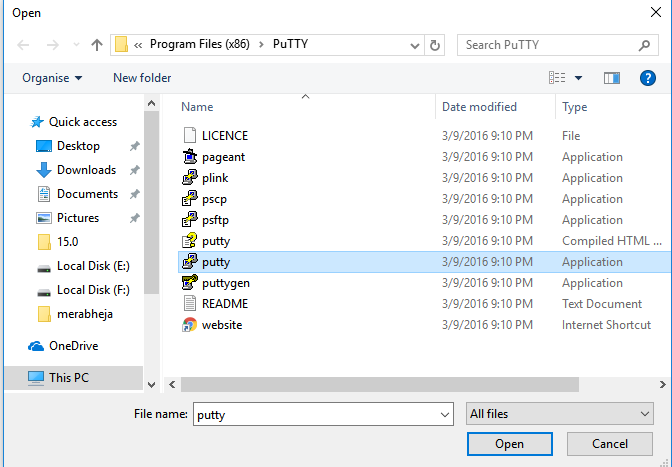 Note that as i have added putty here , putty can now access the folder which i have added in protected folder list. That’s it. 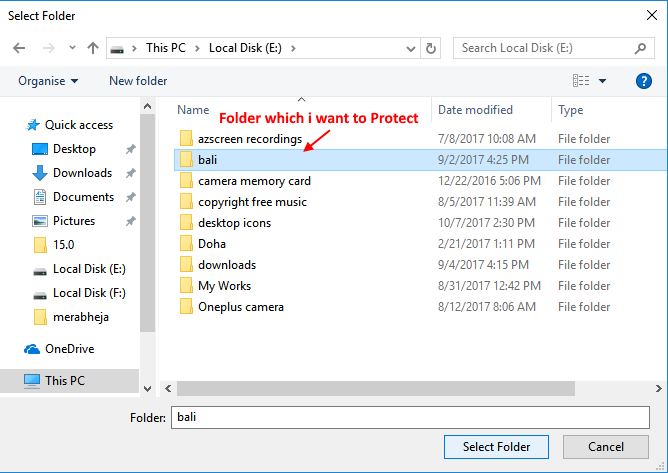 Now, when any other app other than the app allowed will try to access the protected folder, a notification will pop up in your PC. Unless and until you grant access, it can not touch your folder. 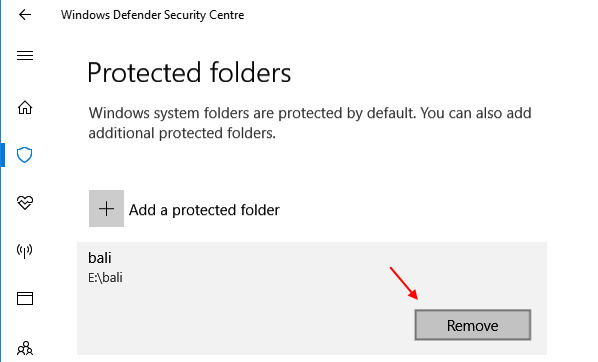 Note : – if you want to remove your folder from protected folder list, just click on protected folders again and go to next window. Now, click on the folder to expand and click on remove. In similar way, you can add or remove apps to control your protected folder.